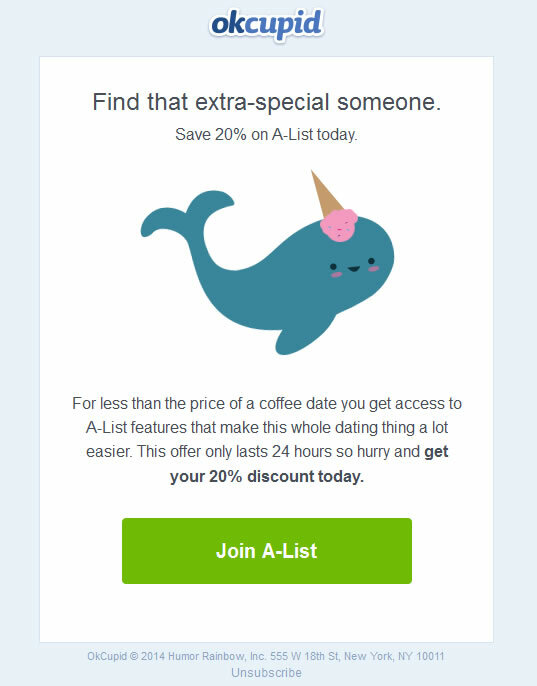 How long does it take OKCupid to offer a discount on their “A-List” upgrade paid feature? Turns out, barely more than 24 hours after you sign up for your account you can get a 20% discount on your A-List purchase. This entry was posted in Email Marketing, Industry, OkCupid. Franklin has spent years paying various online dating services in hopes of meeting 'the one'. ‘Out of My League’: Your First Message?